It's my mission to be your facilitator & partner in healing for achieving optimal wellness. 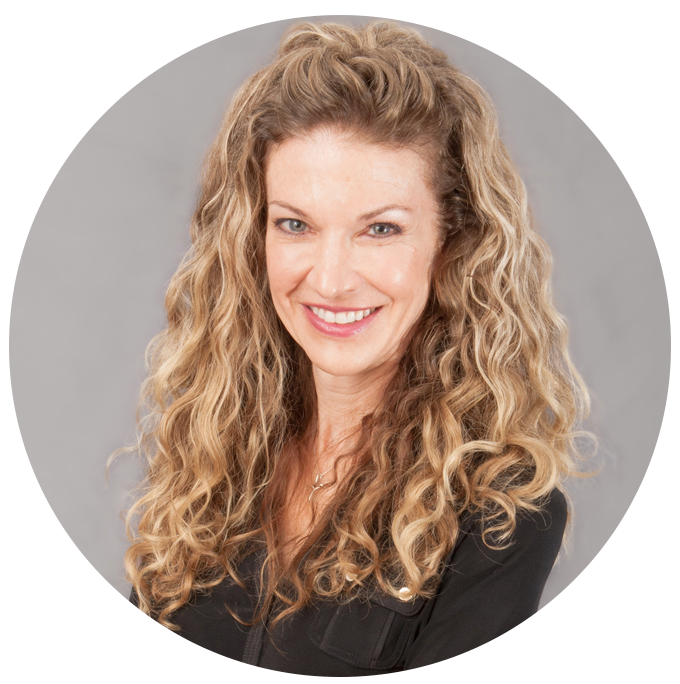 I’m Anne Lemons, a functional medicine, functional nutrition and lifestyle practitioner near Boston, MA. I help people make the connections between food and lifestyle and how that is affecting their chronic health conditions. My focus is to help people understand their unique bio-individuality and uncover the root cause of their chronic health conditions like fatigue, pain, digestive distress, sleep or hormonal issues. My philosophy is rooted in the belief that our behavior and ultimate potential is dependent on balance in mental, physical, emotional and spiritual health. For most of my adult life I’ve had my own health issues including chronic fatigue, fibromyalgia and digestive issues. Each time I went to see my doctor I was told that my exam and blood work looked completely normal and there was nothing wrong with me. It was suggested that I take pain medication, which I refused because the side effects were similar to my own symptoms. Additionally, the diet that was recommended for my digestive woes just made it worse! Clearly, my body was not responding to this one-size- fits all advice. I wanted to understand why I had these conditions and not be prescribed a “this for that” type treatment. I couldn’t understand why I felt so poorly yet, with traditional testing, nothing appeared to be wrong. My journey to good health started about 10 years ago when I began my quest to find the answers that were eluding me. If my doctors couldn’t help me then I would figure this out on my own. “Physician Heal Thyself” became my mantra. I knew the answers were out there, I just needed to dig deeper. Through investigation and utilization of functional medicine and functional nutrition, I found out that I had a severe bacterial intestinal overgrowth, leaky gut, and adrenal fatigue. I was able to address and correct these issues and identify the triggers specific to me that help keep me as balanced as possible. I finally felt as if I could address core issues instead of just treating symptoms. This was incredibly empowering to me as I took control of my own health and future. It was then I realized the large chasm that exists between traditional and functional medicine and that so much of medicine today is based on treatment of symptoms instead of root cause. Symptomatic treatment may have limited success and is often accompanied by medication side effects. Understanding why a condition manifests in the first place and how to address it is paramount to healing and wellness. Yet, no one in traditional medicine, at least from my perspective, is helping to make the connections between when and what started the chain of events leading to a health crisis. Traditional approaches do not look for or identify the triggers or the mediators that make the condition better or worse. I knew that if I was frustrated with this model of care, I was sure others were too. It was then and there that I decided to go back to school to learn this root cause- based approach. I wanted to help others that may have similar stories to mine. As a Physical Therapist for over 30 years, I have always been intrigued with studying the physiology and mechanics of the human body. I believe that was why I was drawn to the scientific approach of the Kalish Method for Functional Medicine and completed the standard and advanced training including the interpretation and use of the Organic Acids Test. The Kalish method works by addressing the “Big Five” chronic health problems: weight gain, fatigue, depression, digestive issues and female health problems. This method is predicated on a systems approach he developed from over 24 years successfully working with over 8,000 patients. I am also certified as a Functional Nutrition and Lifestyle Practitioner through the Andrea Nakayama Functional Nutrition Alliance program as well as a graduate of her Full Body Systems program. These programs synthesize the art and science of nutrition together with intuition and problem solving to help get to root cause of illness while creating a path to wellness. To assist my patients with stress management I utilize my skills as a mental game coach with Heart Math techniques to help reduce stress and anxiety by bringing the heart, nervous system and hormonal systems into balance. Are you tired of not feeling your best? Are you frustrated with your current health condition and/or plan-of-care and don’t even know where to begin? Are you unable to reach your greatest potential due to a chronic health problem? Contact me at annelemonspt@gmail.com or visit my website www.annelemonswellness.com for more information. I would love to partner with you to discover root causes, make connections and uncover your path to ‘heal thyself’ to enable you to achieve your highest potential!